Last July, professional stunt person Terry Grant went barrelling through the air to launch the new Jaguar E-Pace. This followed Grant’s loop-the-loop in an F-Pace, and at the time, we pondered what on earth Jaguar Land Rover would do next. A slingshot around the moon? Turns out we were nearly right. 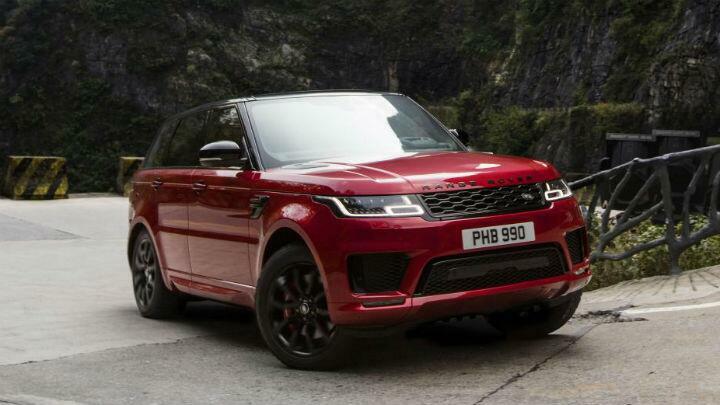 Jaguar Racing test driver Ho-Pin Tung drove a Range Rover Sport PHEV up a dizzying 999 steps towards ‘Heaven’s Gate’ in China, becoming the first vehicle to have ever done so. There’s good reason why no car has ever attempted such a feat. It’s utterly, utterly terrifying. Nine hundred and ninety-nine steps up a 45-degree incline with no margin for error (he rolls back down the hill, he’s gone) has generally – up until now – done a fine job of keeping mankind at arm’s length. First, Ho-Pin had to get to the bottom of the stairs. Which required a hot run through the 99-turn, 11.3km Tianmen Mountain Road – the ‘Dragon Road’ – in the 400bhp, petrol-electric RR Sport P400e. Again, no easy task when you’re properly on it. Then, up the stairs he climbed. “I’ve experience Formula E, Formula 1 and won at the 24 hours of Le Mans,” Ho-Pin explained, “but this was without doubt one of the most demanding driving challenges I’ve ever faced.” The face on the poor guy before he floors it up the mountain paints quite the picture. Of terror. Have a watch of Land Rover’s film above. Slingshot around the moon isn’t looking so improbable now, is it?